These cookies are a real favourite of mine at the moment - they make brilliant gifts or a nice little treat for yourself! 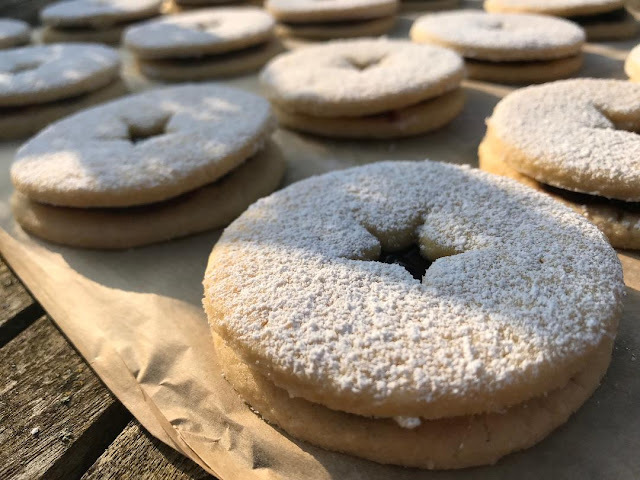 The cookie is deliciously light and chewy and works really well with the cherry jam, creating almost a Bakewell flavour. Be warned, these are highly addictive! Begin by creaming the butter, sugar, vanilla and salt in a bowl until nice and fluffy. Then whisk in the eggs until well combined. Gradually stir in the flour and baking powder. Form into a dough then wrap in cling and chill for 1 hour in the fridge. In the meantime, preheat the oven to 180 degrees / gas 4. Roll out the dough out into your desired thickness (mine were around 1/4 inch thick. Cut around 24 circle rounds, then using a small heart or star cutter, cut the middle out of half the rounds. Place the cookies on a lined baking tray and bake for 9 mins until just cooked through. Leave to cool completely then spoon a teaspoon of jam on the full circle rounds. 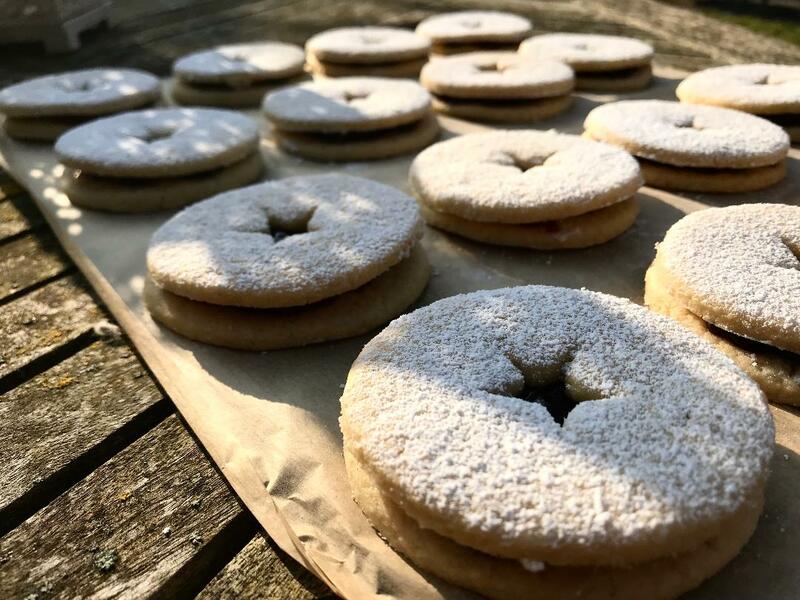 Dust the top cutout cookie with icing sugar and gently place over the top of the other jam filled cookie. Serve and enjoy!